Many Americans are suffering from health conditions that are completely preventable, including diabetes, obesity, heart disease, high cholesterol, and high blood pressure. We take a whole person approach to management of these “lifestyle” diseases. Lifestyle Medicine includes dietary change, therapeutic exercise, and stress management. Our Certified Lifestyle Educators will work intensively with you to help you reach your goals. Northeast Integrative Medicine is a First Line Therapy Center of Excellence. First Line Therapy is a therapeutic lifestyle change, or lifestyle modification, program. This program has been demonstrated to be successful in helping individuals return to a path of extended health. 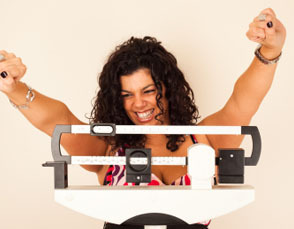 Some weight management programs focus just on losing the pounds. This is remarkably different. This is a disease reduction program! While weight loss occurs, it is only secondary to the primary goal of helping you achieve and maintain a healthy body composition (lean muscle-to-fat ratio) to improve health, manage disease, feel better, and reduce your risk of more serious health conditions. Our team of medical providers and lifestyle educators work together to ensure that you are safe while going through the program. We may monitor not only your weight and body composition, but also your cholesterol, triglycerides, hormones, and much more. We walk you through the program step-by-step, and meet often enough to ensure you are successful. I have been a long-time patient of Dr. Chasse and recently began seeing Diane in the office for Reiki too. Their holistic approach to health, along with their caring demeanors and expertise make them an indispensible part of my healthcare team.